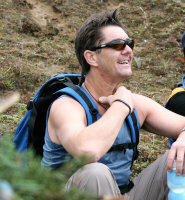 Our team includes ace tourism professionals and aviation experts with an impressive history of Everest Skydive since 2008. 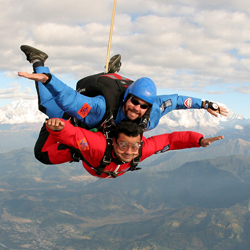 Skydiving in the extreme mountain environment of Everest Region is a big challenge in itself. 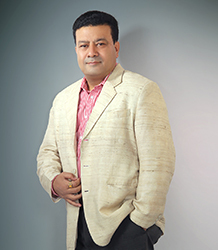 From procuring special permits to arranging logistics and ensuring nothing untoward happens during the event, it needs a lot of hard work, determination, skill and planning to hold an event of this caliber in the Himalayas. With some of the best names in the world of professional skydiving and high altitude adventure, our team has been successful in achieving flawless performance since Day One. Throughout your adventure, you will be accompanied by the best skydivers in the world, mountaineering specialists, high altitude medical doctors and highly skilled mountain pilots. Just let yourself free, you are in the best hands! 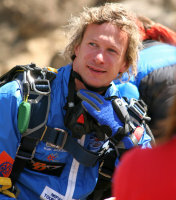 Tom Noonan is an expert professional skydiving instructor from the USA. 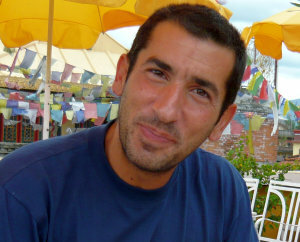 He is also involved in both Civilian and Military Tandem Equipment design and test jumping. Tom has made 4,000 skydives and is a USPA Tandem Instructor-Examiner, USPA AFF Instructor, and USPA Instructor Examiner Rating Course (IERC) Director. He also holds a FAA Senior Rigger certification and is a USPA Safety & Training Advisor (S&TA). 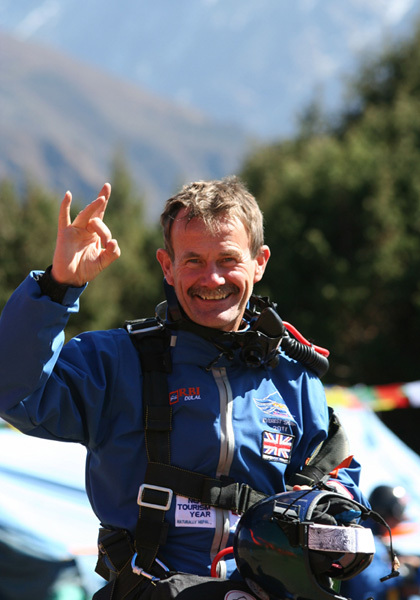 Tom holds the world record (along with Wendy Smith and Jai Kishan) for the highest parachute landing at 17,192ft. 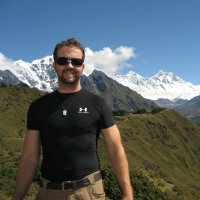 He has been with Everest Skydive since its launch in 2008 and is now leading the team as the Chief Technical Director.